A mural supporting the repeal of Ireland’s Eighth Amendment has reappeared in Dublin, after a warning from the Irish Charities Regulator forced a charity art centre to remove the “political advertisement” from its wall. 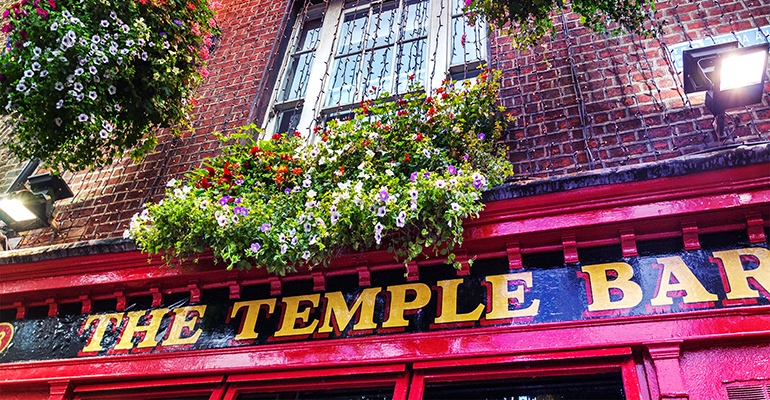 The Temple Bar pub in Dublin. The mural – designed by artist Maser – was painted on the wall of Dublin’s Project Arts Centre in Temple Bar on 9 April. It features the text “repeal the 8th” – referring to Ireland’s Eighth Amendment which offers constitutional recognition of the right to life of the unborn, thereby restricting abortion legislation to circumstances where a pregnant woman’s life is at risk. Later this year, a referendum will be held on whether to repeal or retain this amendment. In light of this, Ireland’s charities regulator informed Project Arts Centre that featuring the mural was “political activity” not in line with their charitable purpose, and therefore was in breach of the Charities Act 2009. Facing charity deregistration, the mural was removed on 23 April, only to reappear days later on the wall of Amnesty International’s office 400 metres way. “We are proud and honoured to host this iconic piece of art, which captures the essence of this campaign,” Amnesty International executive director Colm O’Gorman said. Project Arts Centre’s artistic director Cian O’Brien welcomed the news. “I’m delighted to see that Maser’s artwork will have a life beyond its short one on the wall of Project Arts Centre. I hope this is the start of many more replications of this important artwork across the city,” O’Brien said. The Charities Regulator wrote to the trustees of the Project Arts Centre on 12 April informing them that a concern had been raised about the mural. In statement, the regulator outlined why displaying the artwork put the charity at risk of deregistration. “Section 2 of the Charities Act 2009 requires a charitable organisation to promote a charitable purpose only and to apply all its property to further that purpose,” the regulator said. The Charities Regulator acknowledged the Project Arts Centre’s response that it was facilitating the display of art and not engaging in political activity. “However, the Charities Regulator noted that on the charity’s website, the charity stated that it was relying on an exemption relating to political advertisements under the Planning and Development Regulations 2001, which enabled it to publicise the political advertisement without the requirement for planning permission,” the regulator said. “By doing so, the Project Arts Centre had itself classified the mural as a political advertisement, as opposed to the Charities Regulator making that determination. The Charities Regulator also noted that while there were registered charities currently campaigning on both sides of the referendum debate, they were doing so in compliance with their charitable obligations because they were “advancing a political cause which directly relates to their charitable purpose”. O’Brien characterised Project Arts Centre’s decision to paint over the mural as “defiant compliance”. “Restrictive legislation has intervened in a creative institution and in order to protect the future of that institution and all the artists who work here now and may work here in the future we have decided to comply with the order of the Charities Regulator. This decision has not been taken lightly,” he said. “Throughout its 52 year history, Project Arts Centre has always placed itself at the centre of social and political issues and has done this through the art it has presented, produced and displayed. 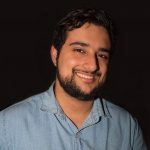 Project Arts Centre stated that they drew “a distinct line between supporting artists who make work that is highly political and engaging in political activism”. “The centre showcases high quality contemporary art that, by its nature, is indelibly political because it relates to the workings of the society from which it emerges. We documented the reinstallation (and the subsequent removal) of the @HunRealIssues and @MaserArt mural here at Project. In wake of the incident, the Australian Charities and Not-for-profits Commission has warned that it is up to charity boards and committees to ensure their “charity’s activities are in line with their charitable purposes”. An ACNC spokesperson told Pro Bono News: “In Australia, a registered charity can promote or oppose a change to any matter of law, policy or practice, as long as this advocacy furthers or aids another charitable purpose. “However, a charity must not have a ‘disqualifying purpose’, specifically promoting or opposing a political party or candidate for political office. The ACNC has guidance available on appropriate charitable advocacy on their website.